Discussion in 'Hire a Freelancer' started by LeBJon, Apr 19, 2013.
skype me if your good! Okay Bro you scammed my friend so please everyone dont listen to this guy just report about him !!!! this guy scammed me !! Techblog is a trustable member here, shame on you Lebjon to be scamming him. Anyone ban him. this guy doesnt know the basic difference between JAVA and C++ and he wants to be an engineer!! If you have to copy in your test atleast get your basics right!! 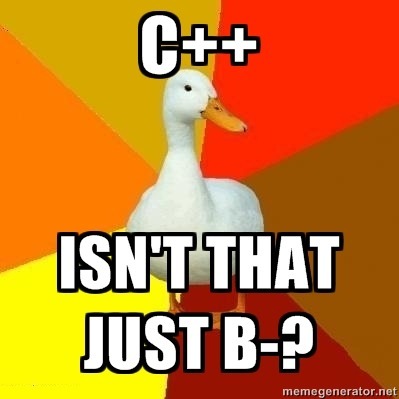 What's C+ by the way? I know techblog and trust him. Noone should be scammed and I am very sorry for him. Seems that people such Lebjon still exist. They should be placed in a blacklist without any questions. he is BANNED, though you escaped this forum KARMA is gonna get you! well you really sold yourself off for $80! Big Guy is gonna come after, who will save you ? Anyone searches your name on google , your true identity and color shows up!